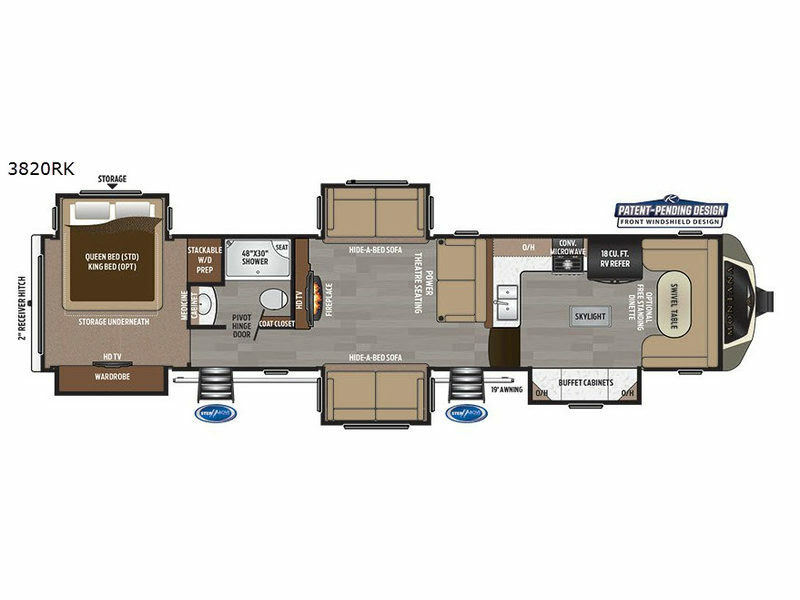 You are going to love everything about this Montana fifth wheel 3820FK every time you take it out of storage! With five slide outs providing lots of moving around space, and a Patent-Pending front windshield design for amazing views above the front U-shaped dinette with swivel table, you will feel like you haven't left any comforts of home behind. You will also enjoy the natural lighting provided by the skylight in the separate kitchen area, the storage from the buffet with cabinets, and all of the necessities for this to truly be your luxury get-away-home! The main entry brings you into the centrally located living room with plenty of seating, plus an HDTV and fireplace. The second entry into the fifth wheel allows you easy access to the bathroom and bedroom. You will soon learn this Montana is the perfect fit for you and your family!